Malaysia Elections: Tun Mahathir Next Prime Minister of Malaysia. Tun will be sworn in tomorrow. Not all results are in but the party has reached a simple majority. God bless for your support. Unofficial results of Malaysia’s general election point to a victory of the opposition led by Tun Mahathir Mohamad. Tun Mahathir Mohamad stated late on Wednesday (local time) that based on unofficial tallies, the opposition coalition has won the election. Mahathir requested that citizens remain silent for at least 12 hours until the Election Commission announces the official results. He also warned Prime Minister Najib Razak as well as election officials against taking any action to frustrate the result. The Election Commission has demanded for more time before confirming the results of the vote. The possibility of political foul play by the outgoing (corrupt) Prime Minister Najib Razak cannot be excluded. Najib is fully aware that his defeat could lead to a criminal indictment on charges of financial fraud and corruption. At 3.40 am Tun Mahathir confirmed that a new Malaysian government would not be seeking revenge against Najib who was involved in the 1MDB financial scandal. 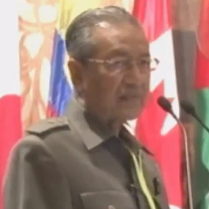 Mahathir nonetheless confirmed that he will restore the rule of law. Inevitably, what that means is that even if the initiative is not taken explicitly by the new government, the rule of law will prevail and Najib will be be indicted. And he knows it. The question is whether he will in a way to block or manipulate the elections results. 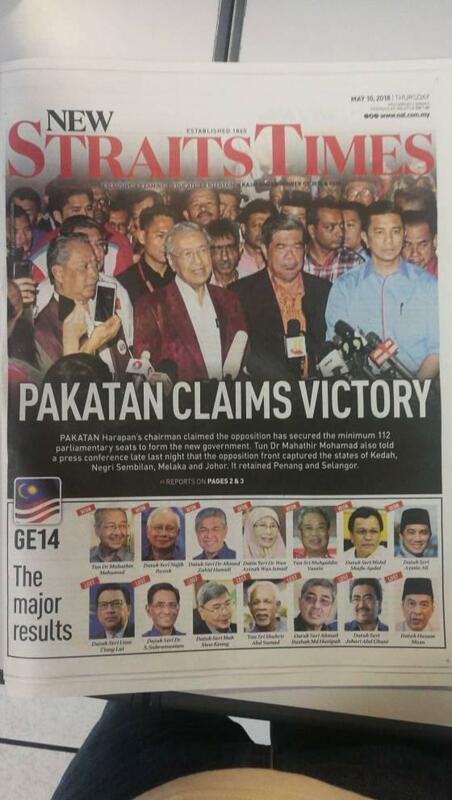 Malaysia is waiting in limbo for the publication of the official results by the Election Commission.